Ninja-themed games have had quite a resurgence in recent times. Most recently, Yacht Club Games announced it would be publishing the 8-bit action platformer Cyber Shadow on multiple platforms, including the Switch. "...(MekaSkull) had no intention of grabbing a publisher, but we just kept trying to coax him into joining our little family, and here he is. ...Bringing more notoriety to the game has been cool, but I feel like we're just letting it show for itself. It was already cool. That's why we went after it to begin with... and initially, he did say no, but we managed to convince him over time that it was a good idea... working together, we built a trust. You have to allow yourself to be vulnerable, just like Cyber Shadow... You only get three hit[point]s, at least for the demo." On a separate but related note, Cyber Shadow doesn't share "much in common" with The Messenger, either. According to Destructoid, it's like comparing Ninja Gaiden to Shinobi. 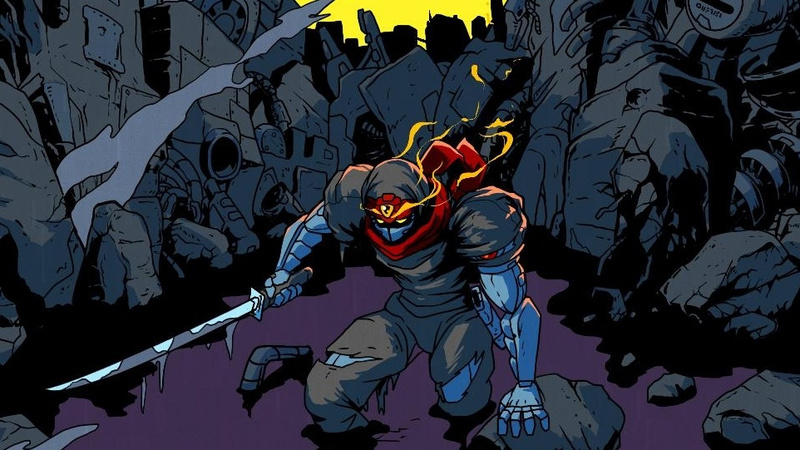 Cyber Shadow is supposedly about action and tech-powered fights against mech monstrosities whereas The Messenger is more of an exploration platforming experience where you take on mythological creatures. Are you looking forward to this game's release? Tell us below. Hyped for this awesome looking game. I hope it's great and successful. This game looks like what Ninja Gaiden would be if it didn't hate me. Needless to say, can't wait for it, and I'm glad that Yacht Club is helping give it the polish and attention it deserves! Ninja Gaiden with a sprinkling of air dashing a la Mega Man X2. I'm in. Something tells me Yacht Club wants to play EA and cannibalize Mechanical Head Studios or at least poach MekaSkull into their studio... It could be that they literally have nothing lined up as a follow up to Shovel Knight and they still keep tinkering with that one. Or they intend to challenge ChuckleFish as the indie publisher. It looks and sounds amazing! I just hope controls are perfect. Looking forward to it!!!!! 'Cyber Shadow's Publishing Deal With Yacht Club Games Didn't Happen Overnight' - probably because they were all asleep. Good for MetalSkull that chose that path : the game wouldn't be on my radar if Yacht Club weren't involved. This looks fantastic; can’t wait to play it and listen to its soundtrack on full blast, day one. I actually asked this exact question to a YachtClub representative at PAX 😂. This was the highlight of the Indies Showcase for me (after the shock of Cup head wore off). I think it looks perfect. Great game. A true Ninja Gaiden sequel. @ancientlii This is called landing star power. 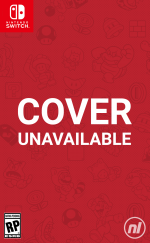 Like if Nintendo is your publisher (Cadence of Hyrule). There is already gamepla footage from PAX East on Youtube and this feels en par with the quality of Shovel Knight. @ilikeike Same here. But I so want this game. That chiptune music is so damn awesome! I just got done with Oniken, so I'm ready for another tough NES hard game. I thought this old dog lost it, but I still got game. Let's do this! That music got me pumped... can't wait!